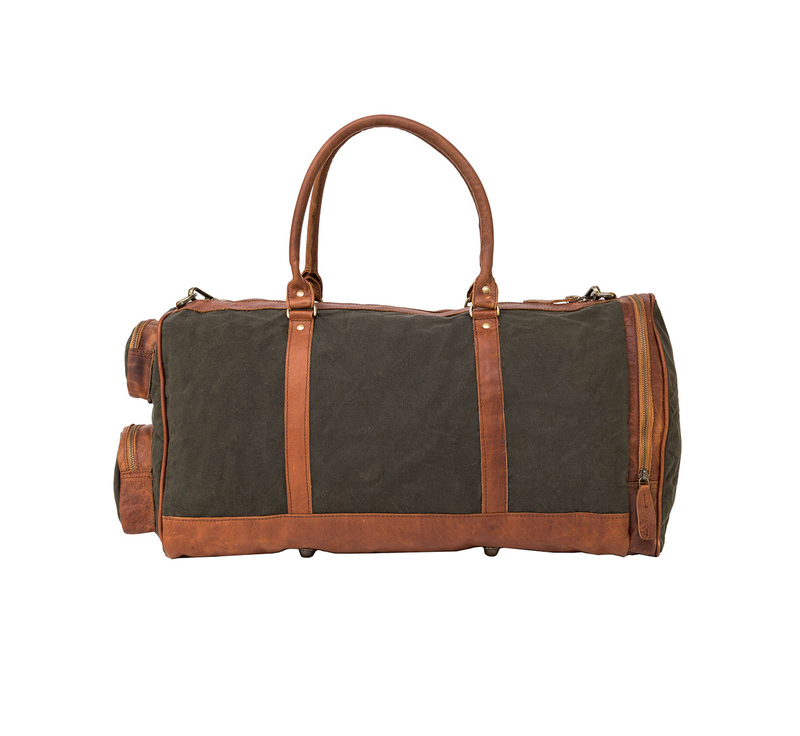 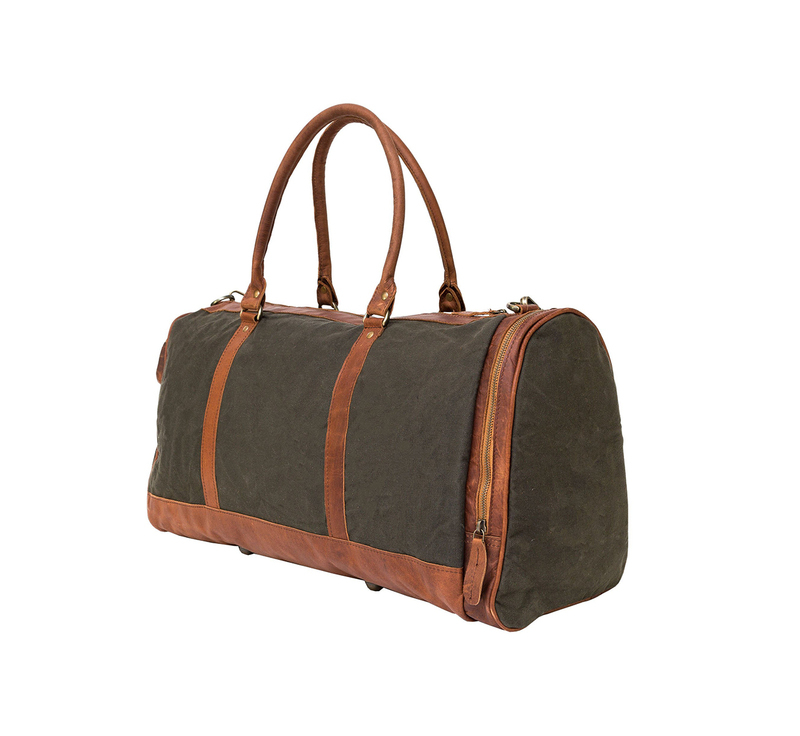 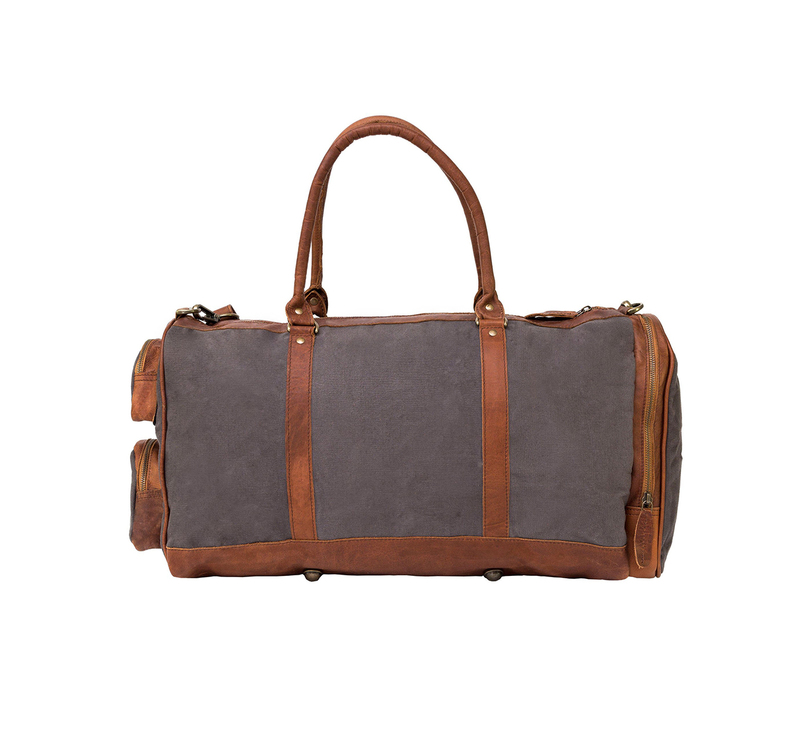 The Columbus Deep Weekender is built for travel: compact and easy to carry yet deep enough to maximise capacity. 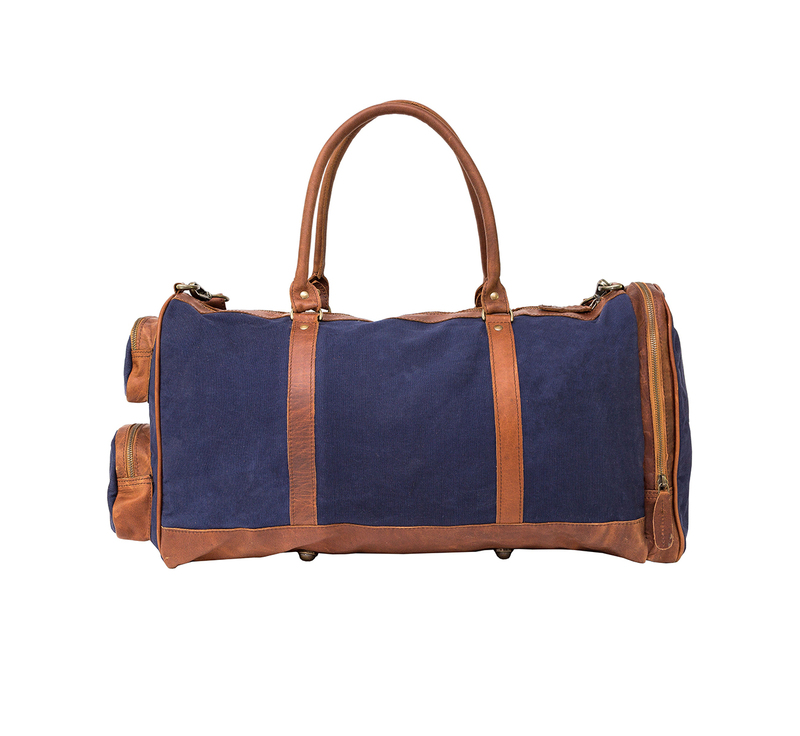 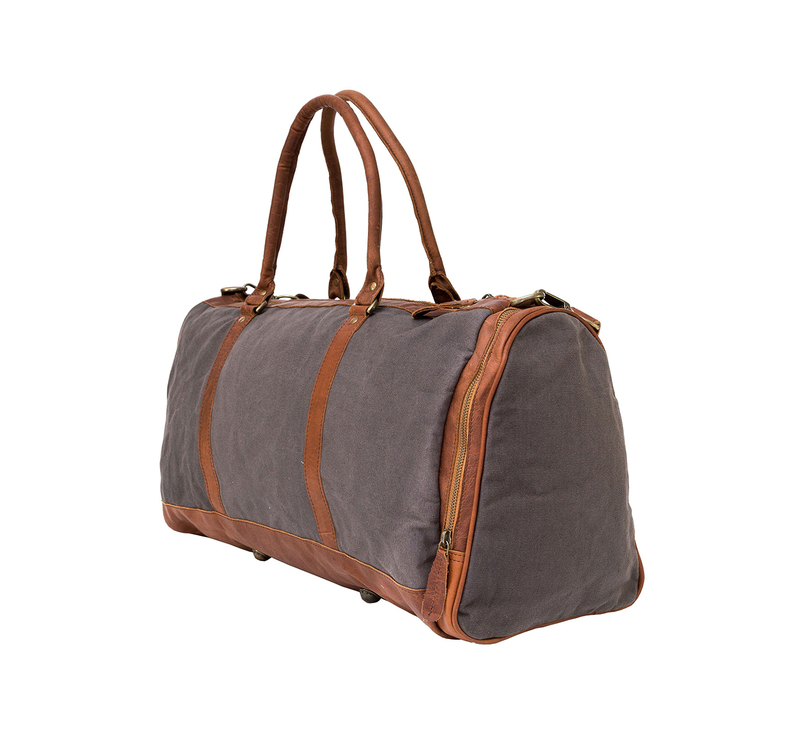 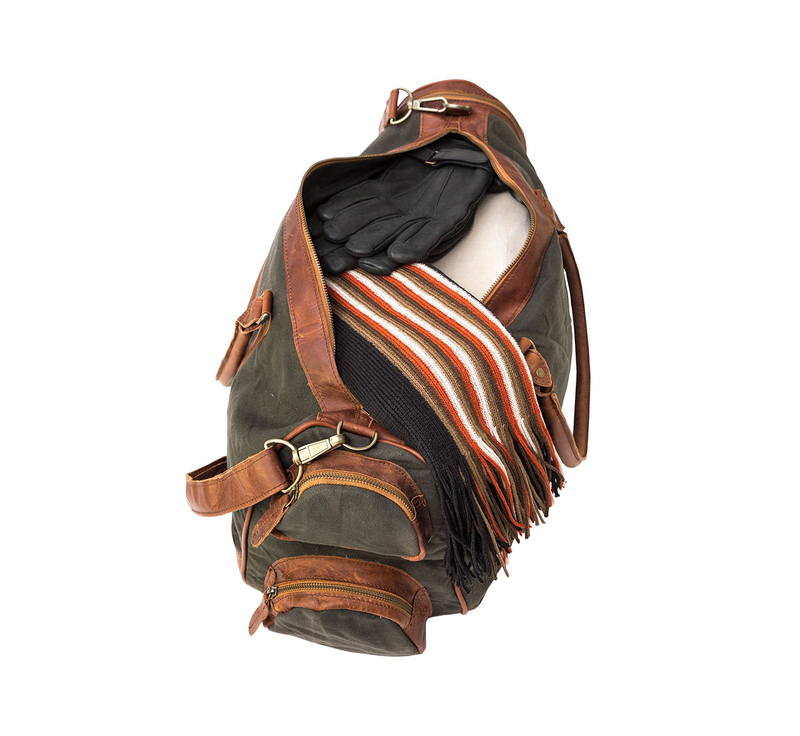 This unisex luggage piece is equally adequate on a casual trip with friends or on the arm of the discerning professional. 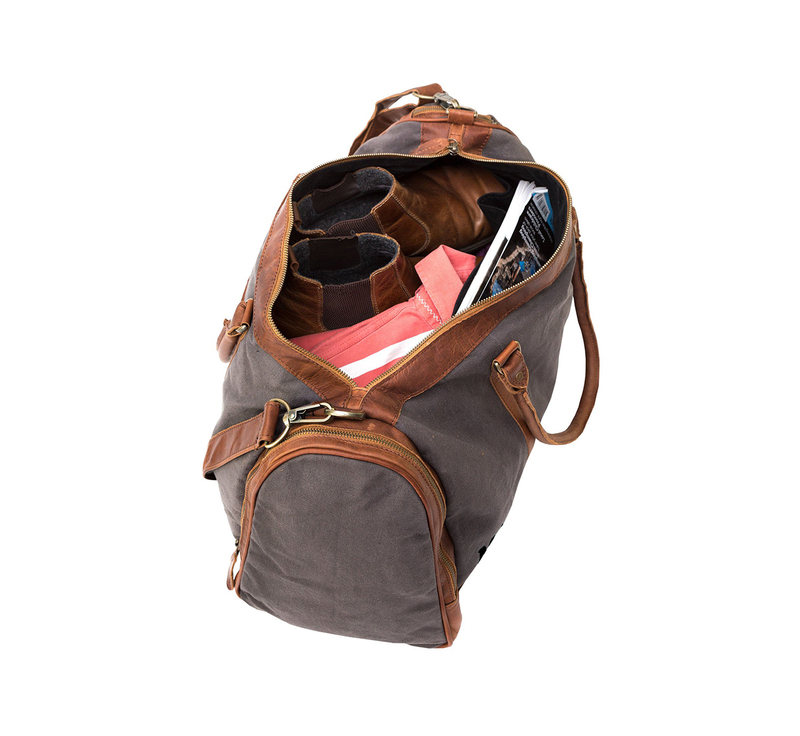 The Columbus offers multiple zip pockets and compartments for all your valuables. 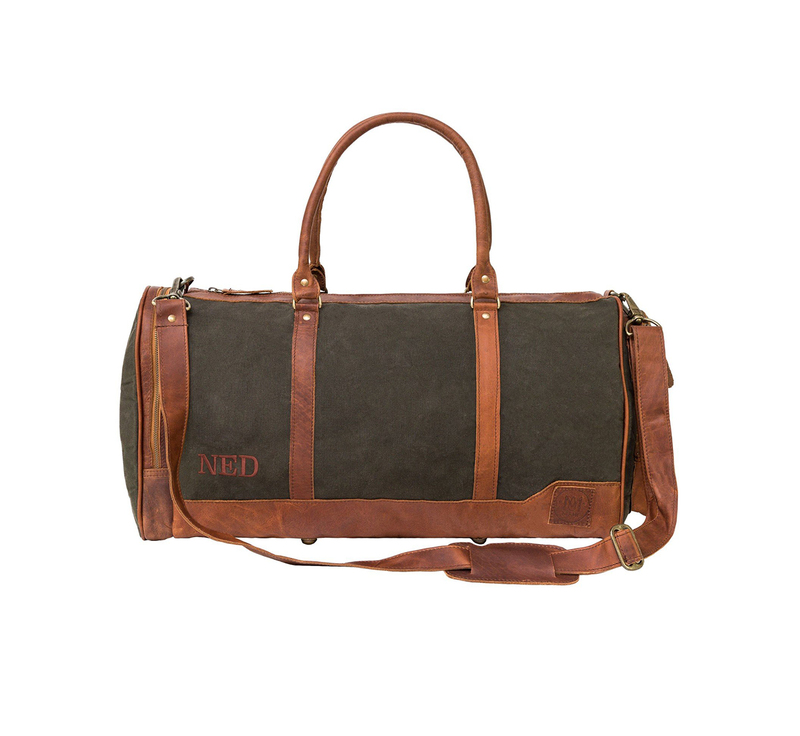 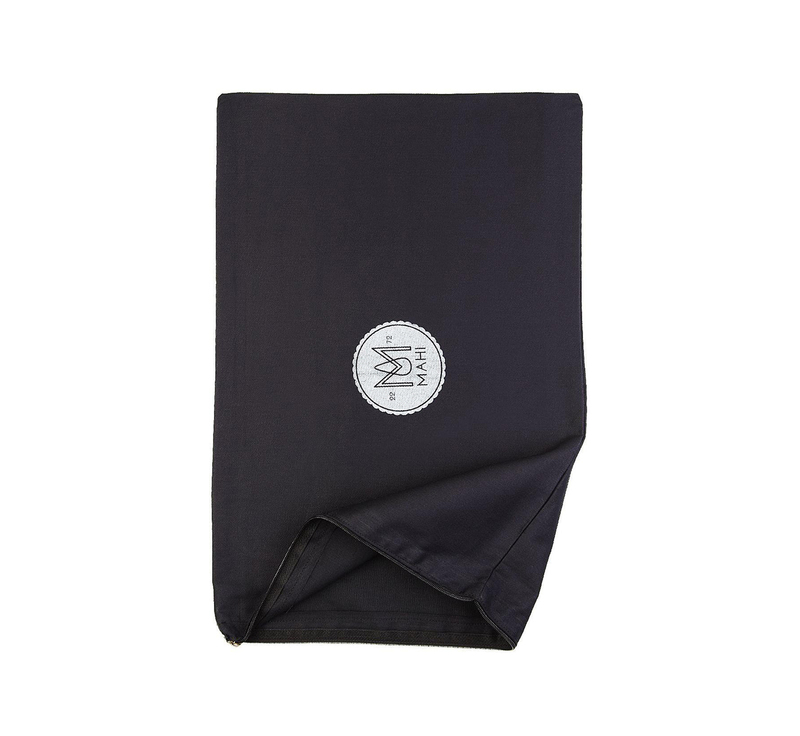 Materials: 100% cotton canvas and full grain leather exterior. 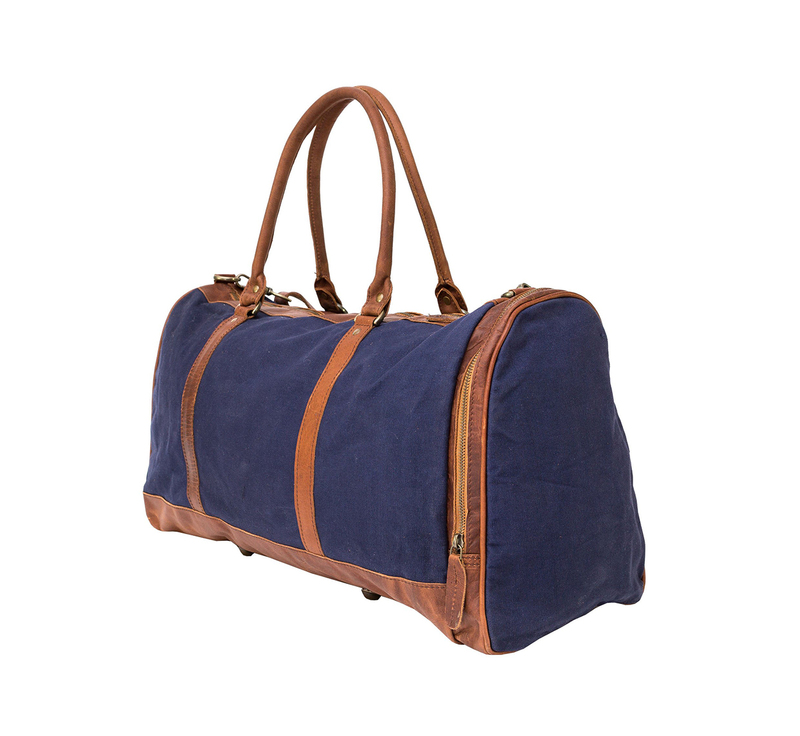 100% cotton lining interior. 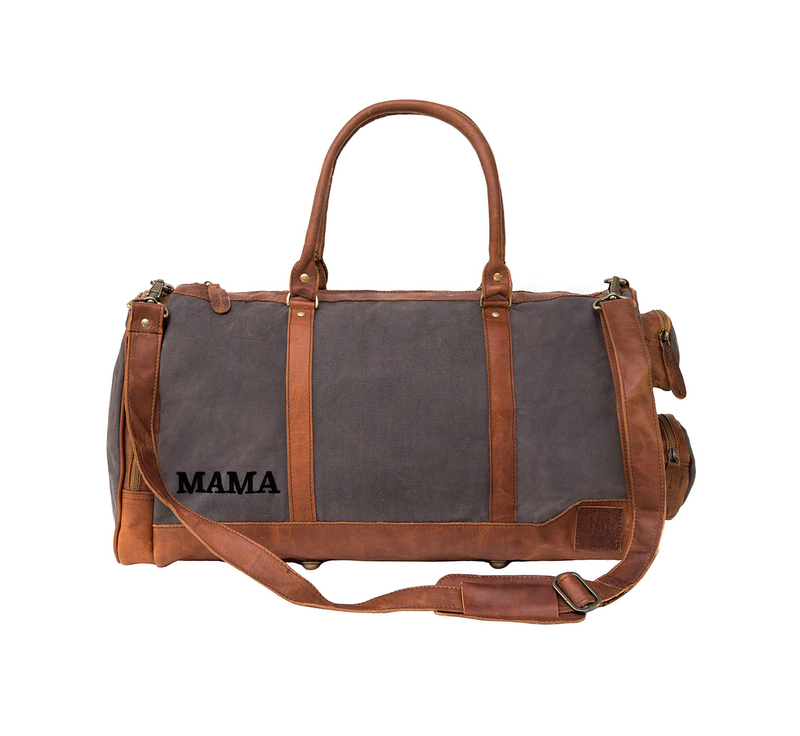 Dimensions: L54cm x H33cm x W27cm, Handle L60cm W2cm. 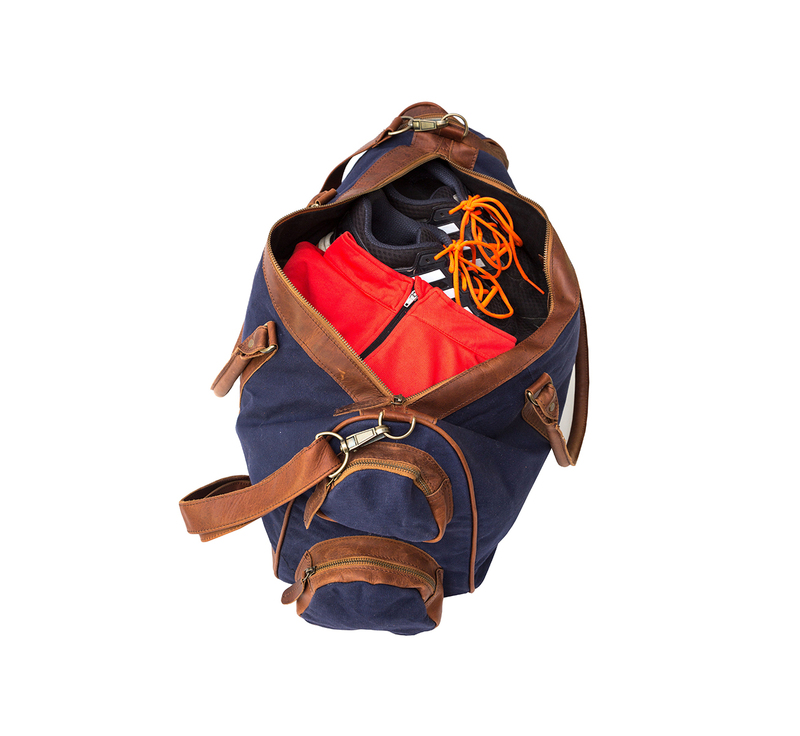 Hardware: Brass fittings and robust YKK zippers. 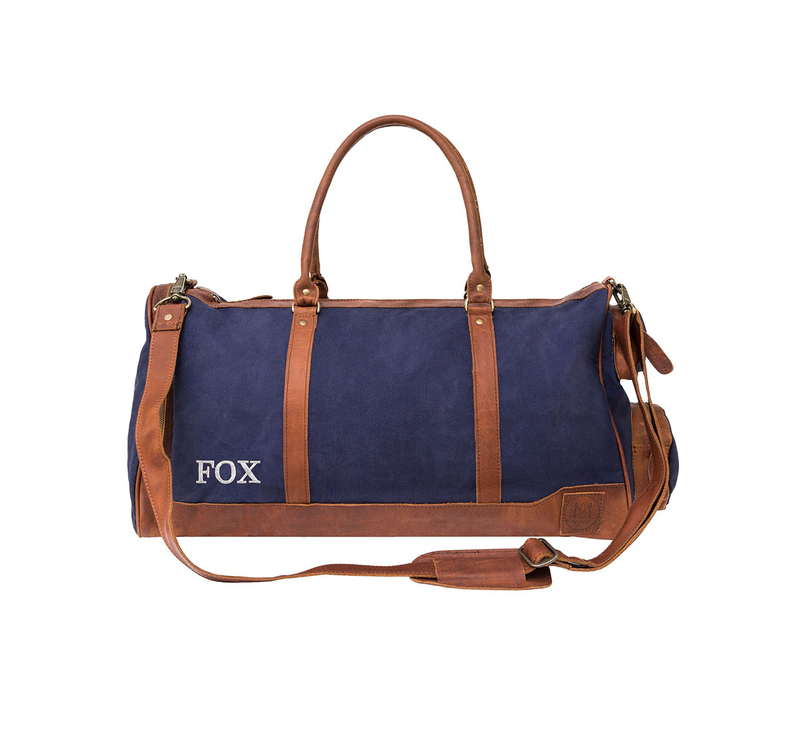 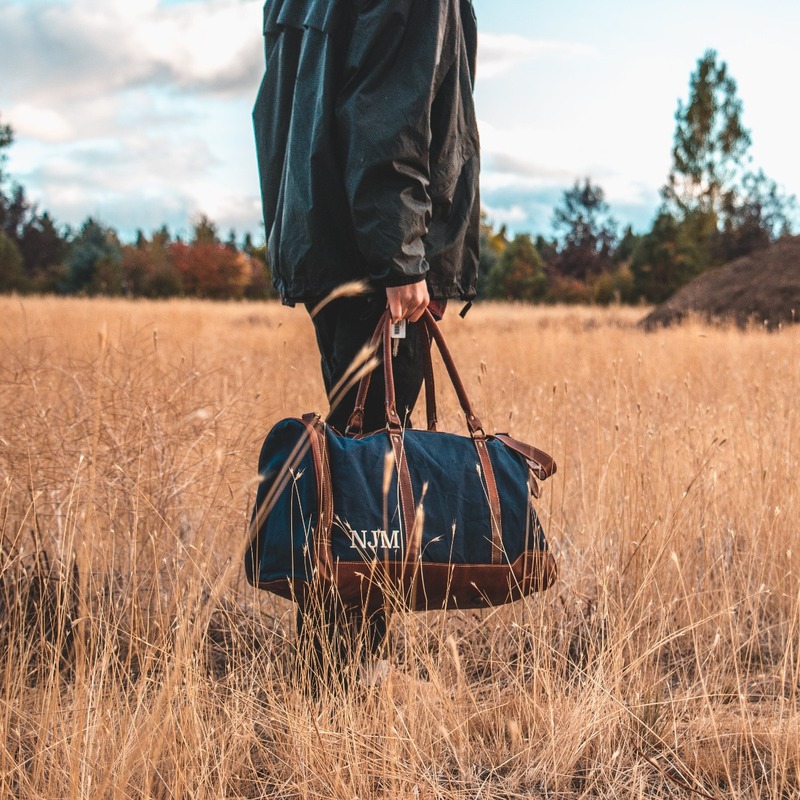 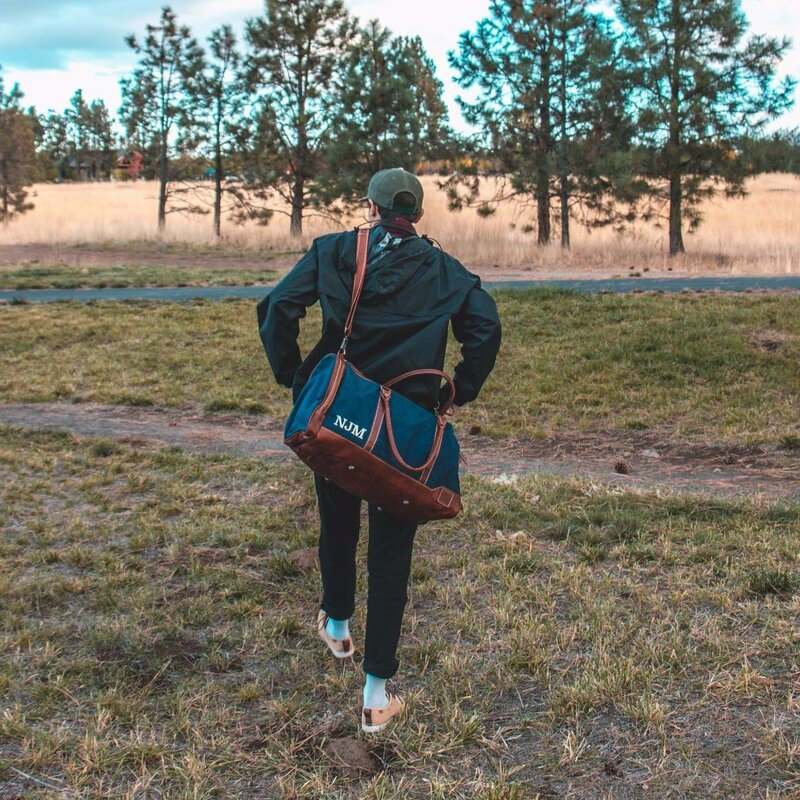 Features: Extendable detachable shoulder strap, small inside zip pocket, full length side compartment, large outside zip pocket, two small outside zip pockets, four brass studs on the base.